This private painted brick home by Crestar Homes under construction in the Jackson Elementary school district has an amazing flat walkout back yard ready for a pool or a tennis court. The gracious floorplan features a luxurious master suite on main with separate vanities and water closets. The chef's kitchen has a Subzero/Wolf package, center island and breakfast room, all open to vaulted family room with 15-foot accordion doors overlooking covered porch with fireplace. 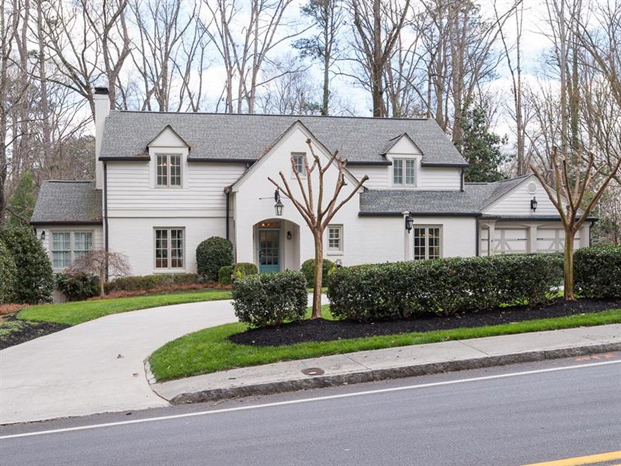 Wonderful estate property in Historic Druid Hills tucked behind one of the famous Olmstead Linear Parks. Comprehensively renovated by Weidmann with phase 1 in 2012 and phase 2 completed in 2018. 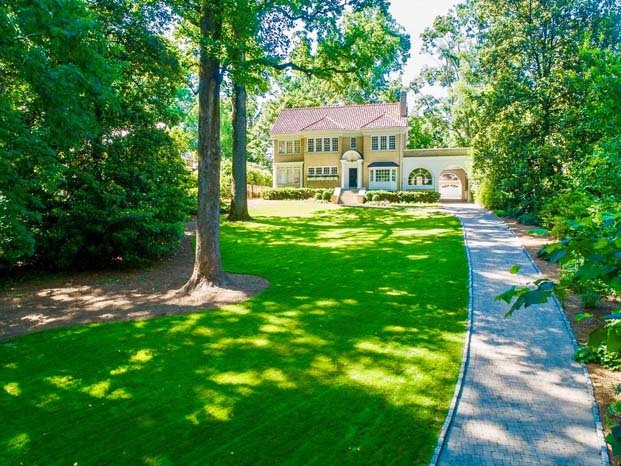 This stately 1920’s home sits on on 1 acre. 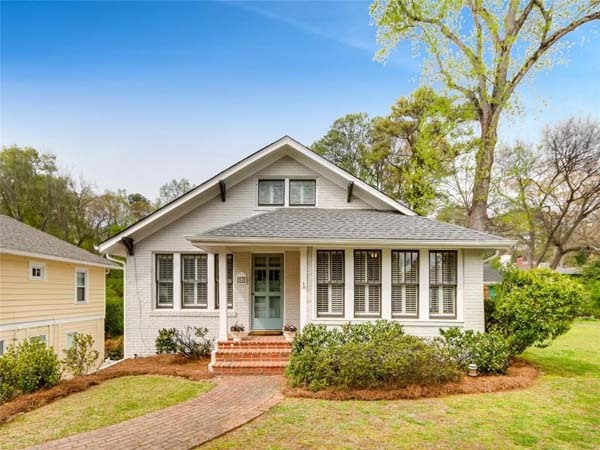 This classic, seven-bedroom, five-bath and one half-bath, fully-renovated home in historic Brookhaven offers modern updates including all new systems, generator, new roof, electrical, fixtures, hardwoods and more. The chef-inspired kitchen opens to a family room with a vaulted ceiling. Classic elegance describes this stunning four-sided brick golf course estate overlooking the 16th green. An outdoor covered Lanai, full grilling station, cozy stacked stone fire place and retractable, remote operated full-window screens overlooks the course and a gorgeous salt water pool with waterfall and spa. 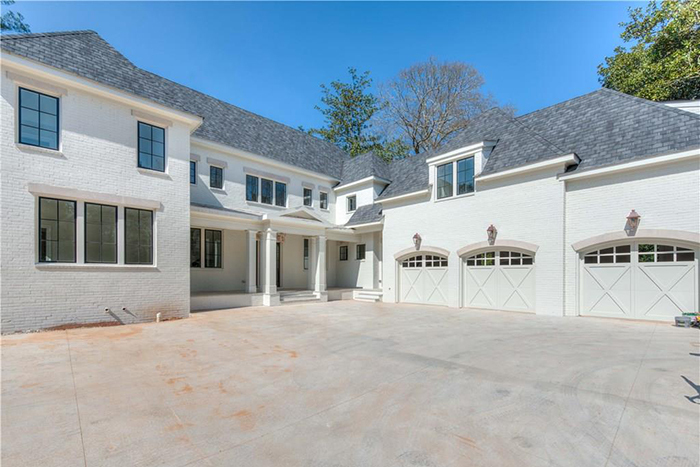 The incredible space, special finishes and the Morris Brandon elementary school neighborhood make this home one not to miss. The main level includes a bedroom plus an office, living room, large dining room with french doors open to a charming front patio. 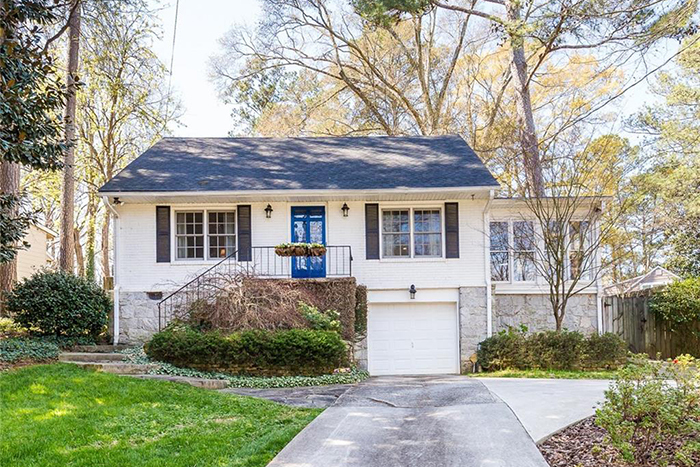 Located in a premier Atlanta neighborhood a short stroll to top restaurants, retail and just a mile from Emory University, this open, light-filled home has a renovated chef's kitchen with Cambria quartz counters, white cabinets and Wolf and Sub-Zero appliances. The master suite has two closets, a large bathroom and heated floors. 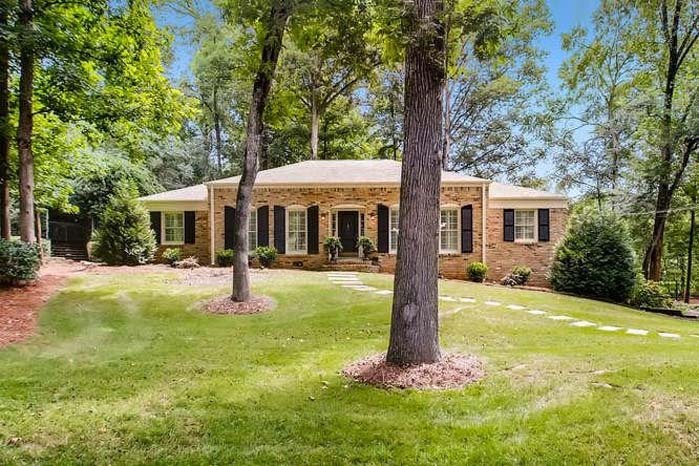 This renovated Chatham ranch is steps from Morris Brandon Elementary School with an open floorplan and newly refinished "white oak stain" hardwoods. The kitchen has brand new custom cabinets, Avenza-honed marble countertops and new stainless steel appliances. 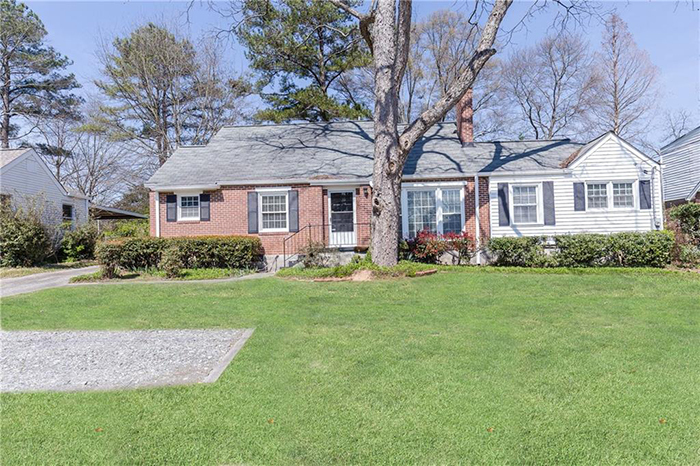 This beautifully renovated home with lovely curb appeal and modern details is in a fantastic location at the edge of historic Brookhaven, within walking distance to shopping and restaurants. It has tons of natural light, hardwood floors and chic accents through out. 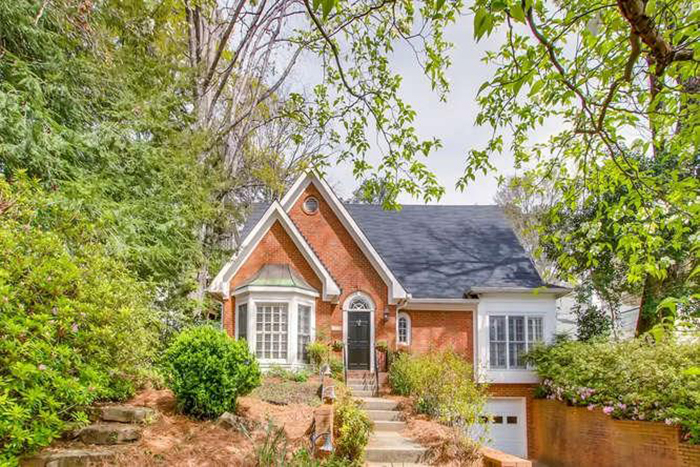 Mere steps from the Atlanta BeltLine and Ponce City Market, this charming 1920s bungalow with beautiful heart-pine floors and sunlight-filled living room is in an unbeatable location. The dining room and two bedrooms and a full bath are on the main floor and a newly completed second story addition includes a master suite, two secondary bedrooms plus additional bathroom and a laundry room. 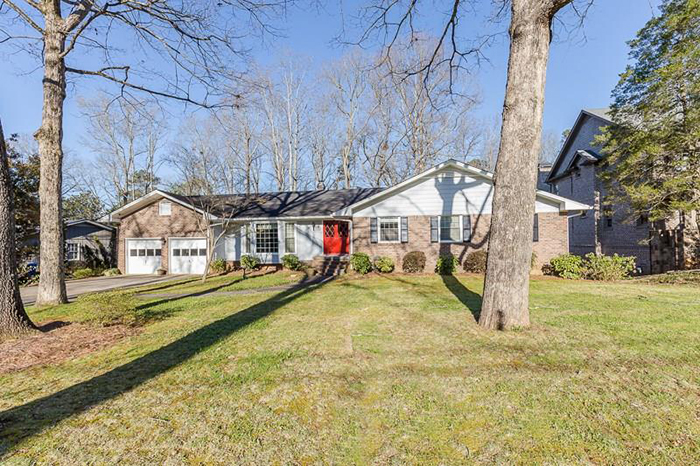 This beautiful ranch home in the charming Meadowbrook neighborhood is on a level lot on cul-de-sac street. The updated kitchen has white cabinets and stone countertops and overlooks the family room, which has a fireplace. This charming, private, unique home located in desirable Breakwater is at the end of a cul-de-sac, and sits in the trees. It feels like living in a tree house. The updated kitchen has state of the art cabinets, full side by side refrigerator/freezer, and hardwood floors. This wonderful home on a quiet street in the Morris Brandon school district has an open floor plan and a master bath renovation. 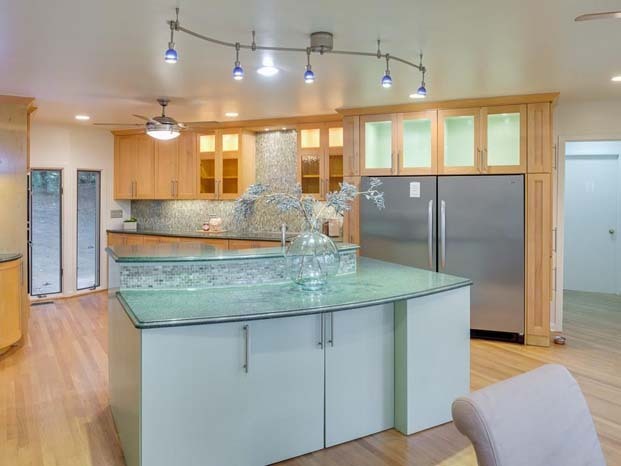 The kitchen has granite and an island with a breakfast bar. This warm, charming home is in the highly popular Leafmore Hills and has a gracious entry way and a living room with fireplace, bookcases and floor-to-ceiling windows. It has a separate dining room with a silver/china closet and floor-to-ceiling windows, a cozy breakfast area and a kitchen which leads to the paneled family room with brick fireplace cabinets, bookcases and access to an inviting screened porch. This awesome renovation features an open family room running from the front to the back of the house with a slate fireplace and a view to the updated kitchen. The doors open to rear deck overlooking wooded rear yard and walking trails. 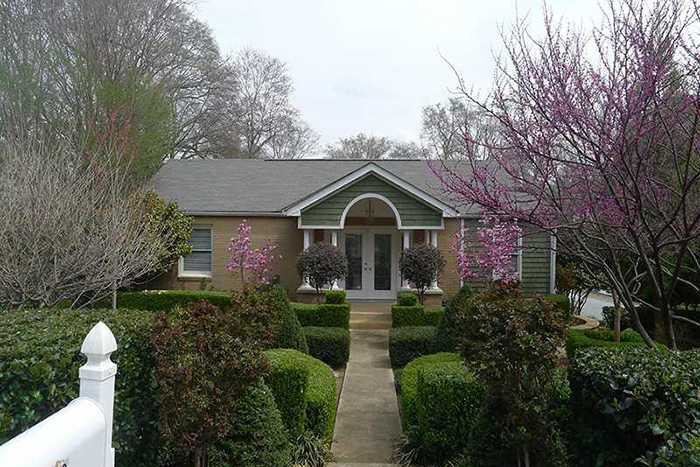 This five-bedroom, three-bath brick home is close to Emory University and downtown Decatur. The master bedroom has its own entrance as does one of the other bedrooms downstairs. With ample parking in the back, this home is ideal for a roommate or as an investment opportunity. 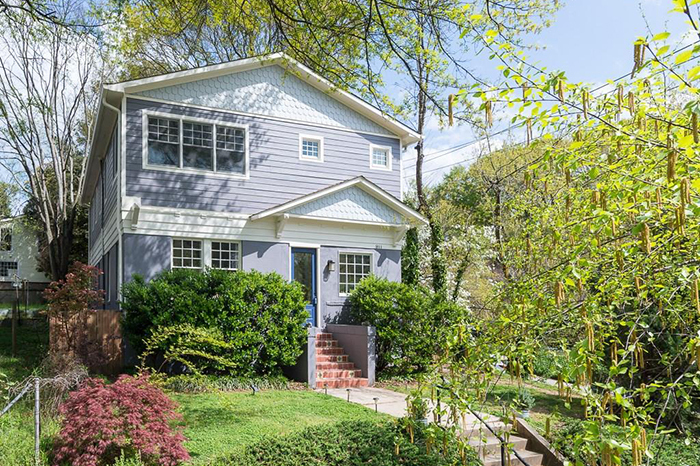 This adorable, renovated cottage in Forest Hills has hardwood floors, granite countertops and an open floor plan. There is a separate laundry room, beautiful, mature landscaping and a deck overlooking a private landscaped garden back yard. 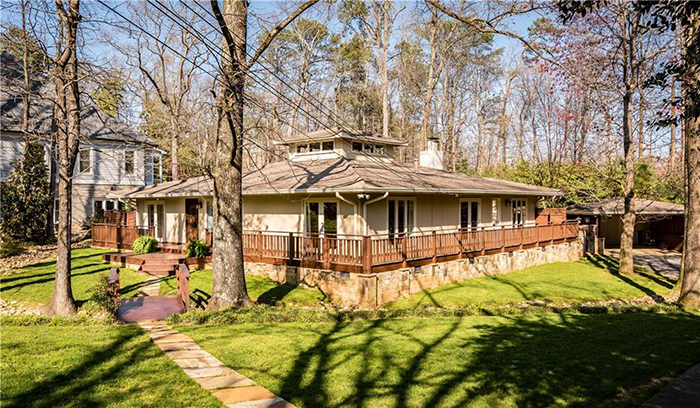 This is a one of a kind, feng shui home featured on the HGTV show “Ground Breakers.” It has a wrap-around porch, two master suites, a generous guest-room, an office/media hideaway and a brand new master bath to rival any spa. 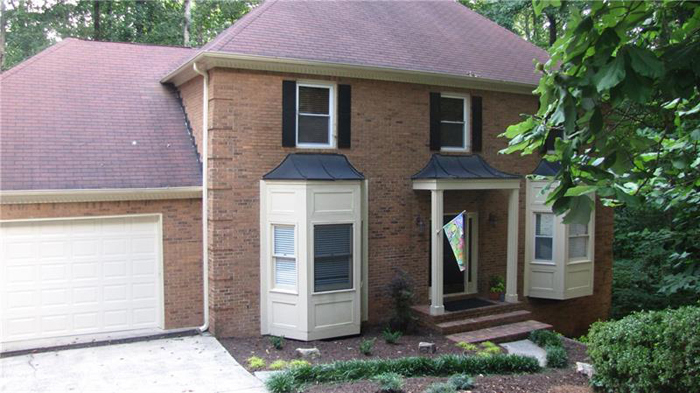 This traditional brick home in the sought after Cambridge Park neighborhood has been well maintained. It is in original condition and is hitting the market for the first time in 48 years. It has great bones, wonderful space and is on an awesome lot on the best street in the area. 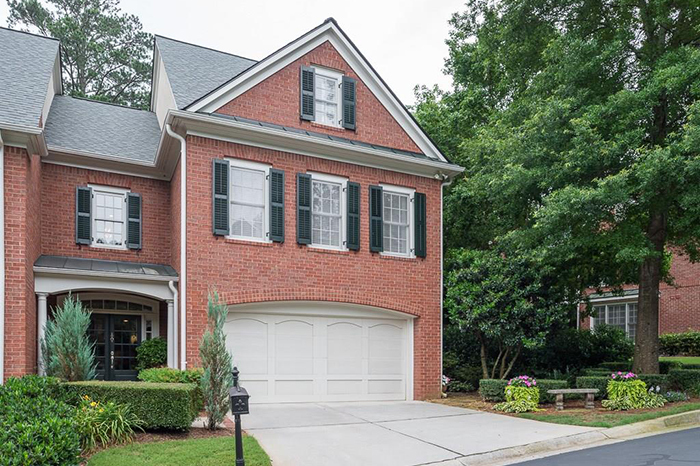 This stunning home on a cul-de-sac close to historic downtown Norcross has an entryway with soaring ceilings leading to a dramatic family room drenched in sunlight with a huge wall of windows. An entertainer's dream, the upgraded, eat-in kitchen features a large island, custom backsplash and a built in wine cooler. 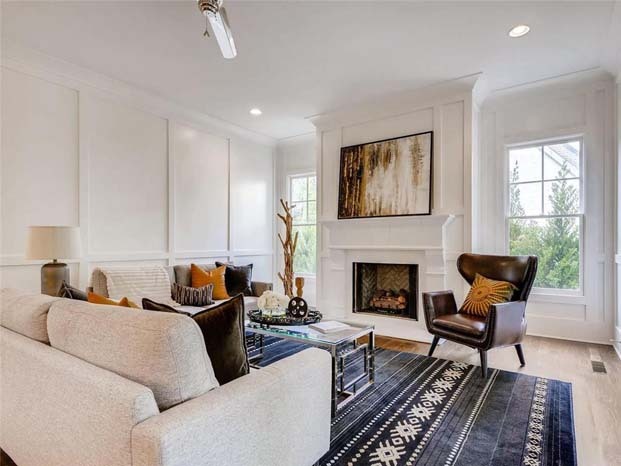 This newly renovated two bedroom condo in the heart of coveted Peachtree Hills has hardwood floors throughout, natural light and updated kitchen/bath. The patio, living room and dining room are all open to one another, making this the perfect place for entertaining, dining or relaxing. 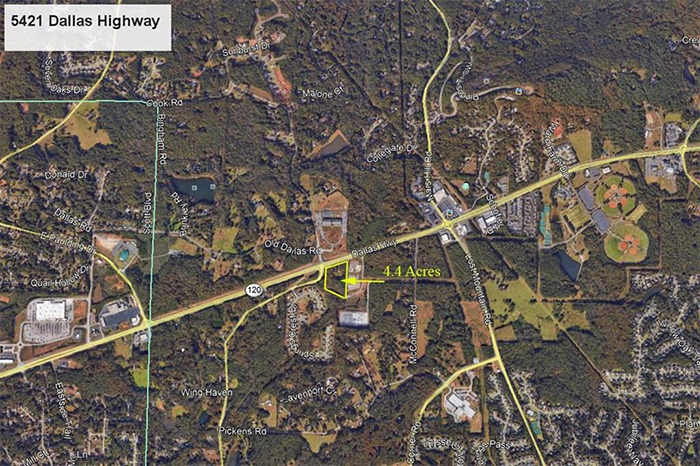 Four-plus acres on State Highway 120, otherwise known as Dallas Highway, in west Cobb County. The average daily traffic on Dallas Highway exceeds 38,000 cars per day, so this site has tremendous visibility and exposure. 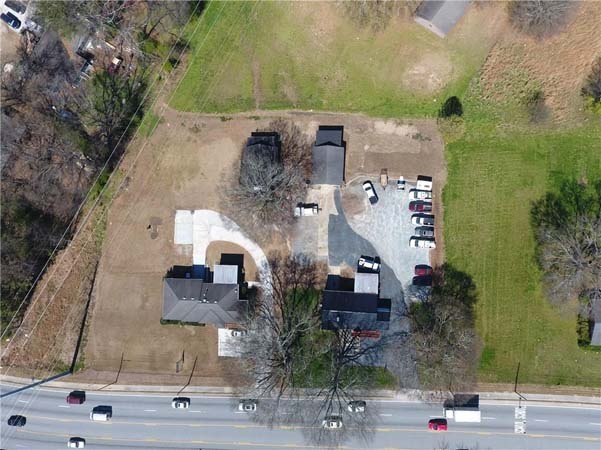 This great location on Beaver Ruin Road has a current tenant in place and is perfect as an investment property or owner user. There is paved parking in front of building and ample parking behind. This is 151-plus acre farm called Seronera is part of a 580-plus acre family land holding that has an existing home, gardens, ponds, fencing and barn improvements. The name Seronera comes from the Kenyan safari camp. The natural beauty and feel of the diverse property lives up to this name. 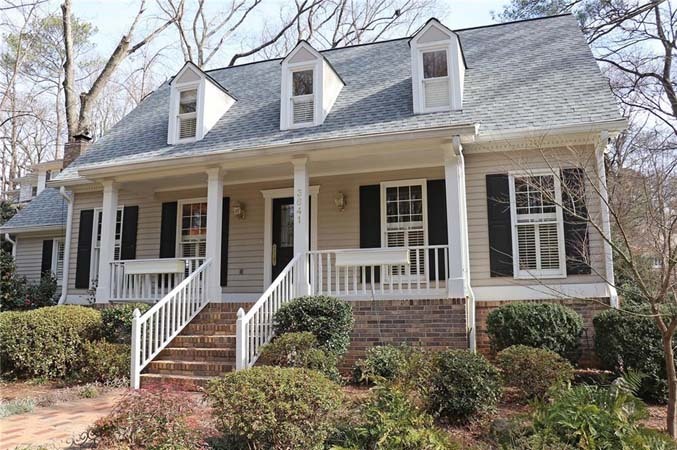 This is a rare acreage find in Dunwoody at the corner of Tilly Mill Road. The property has Devinger subdivision, Georgia Power and Colonial Pipeline easements.